What he had known was the life of a bullock driver traveling through Northern Victoria and Riverina, spending months on end with his bullocks, his loads and his schedule as his constant responsibility. His evenings were spent under the stars with books and tales from fellow travelers for entertainment. 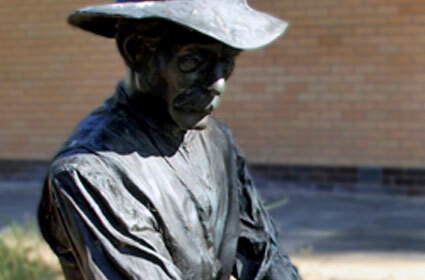 The disastrous drought of the early 1880’s led him to abandon this trade and settle in Shepparton, Central Victoria, where he found a position at his brothers Foundry. In this same letter he describes how his new way of life availed him to writing. After a long day of work he would settle into his sanctum, a lean-to at the back of his house, writing by the light of a kerosene lamp. 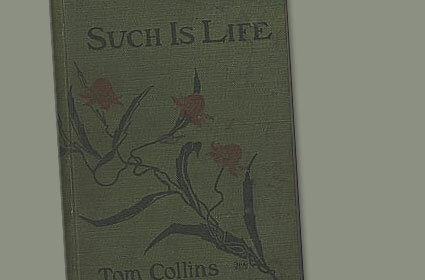 In 1897, using the pen-name 'Tom Collins,' Joseph Furphy believed he had written a moral for his age and, he hoped, a moral for all times and places about the human situation. Like all great confessions about life it had come out of his own experiences, as a bullock-driver in the Riverina. On the 4th of April 1897 Joseph Furphy wrote this letter to J.F. Archibald of The Bulletin. Circumstances compel me to solicit a private reply of two or three words only. I have just finished writing a full-size novel: Title, “Such is Life”; scene, Riverina and northern Vic; temper, democratic; bias, offensively Australian. After reading the handwritten manuscript the literary editor of the Red Page, A G Stephens, wrote back stating he believed the novel was “fitting to become an Australian classic”. Furphy regarded this one as the best of his books. In vintage Furphy style, issues of ideology, love and human nature are wound engagingly into a yarn about fishing—much of it delivered in the form of a dialogue not unlike Plato’s. As usual, bushcraft, the Bible, natural history and world literature make their appearance at just the right times. Like his previous book The Buln-buln and the Brolga was an expanded and revised version of one of the deleted chapters of the original Such is Life. 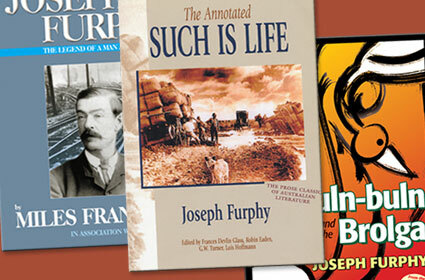 Not publish in book form during Furphy’s lifetime, It was finally published in 1948. Set on the Murray river in the early 1880’s, with his two main characters Fred, the gifted liar, and Bob, the teller of tall tales, Furphy gives us an insight into death, marriage, truth and deceit and brutalising encounters between a new Australian society and the indigenous culture of the Aborigines. Kate Baker who had become his friend and the author's champion in literary circles was profoundly moved by Furphy's death. 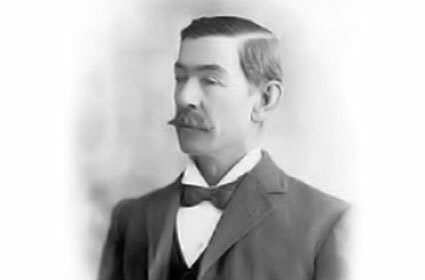 For three decades after his death, Baker worked tirelessly promoting Furphy's reputation, and was responsible for the republication of many of Furphy's works, including a collection of his poetry, published in 1916.